18 months after Gaza flotilla incident, three soldiers received "disabled in IDF service" status. Three of the Naval Commando soldiers who were hurt in the Mavi Marmara incident have been recognized by the Ministry of Defense as "disabled in IDF service." The three still serve in the commando unit and are awaiting the decision regarding the degree of disability to be determined for each of them. The soldiers were stabbed with knives and beaten viciously with iron rods. 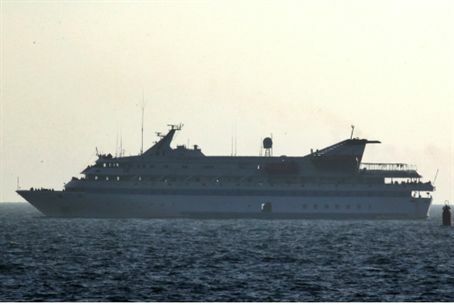 One was thrown off the top deck of the Mavi Marmara. They are the first soldiers from the commando unit to be recognized as disabled following the Gaza flotilla clash. The commandos relied on faulty intelligence and on a misconception by the Defense Ministry regarding the nature of the Gaza flotilla. Influenced by Israeli media, the Defense Ministry and IDF referred to the flotilla as "humanitarian" before the operation, and therefore did not prepare properly for the extremely violent reception the soldiers received from IHH Islamic terrorists when they boarded the ship. The soldiers came armed with guns that are used for less-than-lethal effect against rioters, but found themselves surrounded by a lynch mob. They eventually used their pistols and shot dead nine assailants.